Rawfiend's Blog | Raw foods are the life force we all need. This is my journey. I haven’t been posting much on here because I have been focusing on creating a new site dedicated to helping people going raw at TheNewRawYou.com. Please swing by and give it a look and maybe leave a comment or two and let me know what you think about it. I will still keep this blog up and possibly post on here from time to time as I feel the urge to. Yep, I said it! Green Poop! Surprised? You may be after you drink green smoothies, go to the bathroom, turn around and see what has come out the next day. Chances are it’s going to be green. Really really green. But please don’t freak out. It’s completely normal and harmless. What you are looking at is chlorophyll (what makes plants green) and is harmless. It’s a good thing! It means you are consuming enough greens (finally!). But what if you haven’t been eating your greens like good little boys and girls? What then? According to GreenPoop.org (yes…it exists) it could be caused from eating a really poor junk food laden diet or digestive problems, in which case, is not good. So, make sure it’s the good green and not the bad by drinking your green smoothies. Your mama (and me!) will be so proud of you! p.s. I spared sharing a photo on this subject for you. You can thank me later. Raw Onion Bread? For Real? 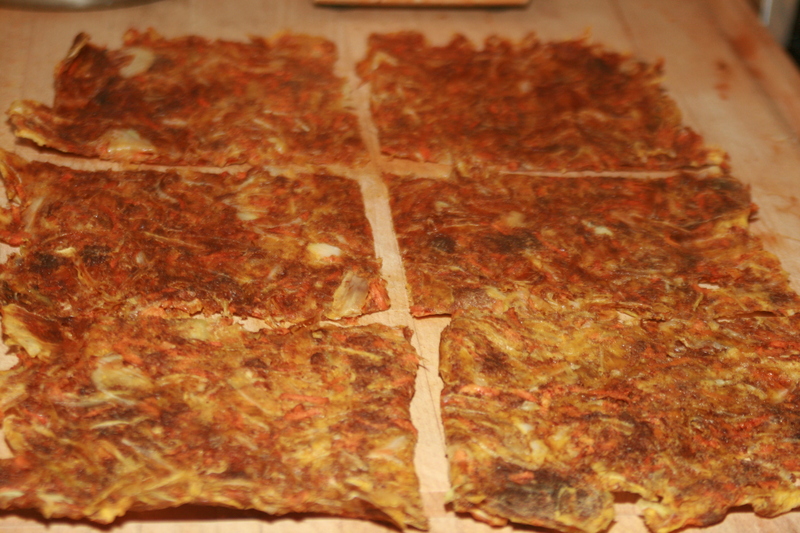 Yep, that’s right, I made a raw, dehydrated onion bread. And you know what? It was absolutely delicious! But you see, I wasn’t sure how it was going to turn out. First I had to try not to cry to hard while cutting up all of the onions. They need to be thinly sliced and instead of doing it by hand, I broke out the handy dandy awesome KitchenAid Food Processor that I simply adore. I used the slicing attachment. It looks like this. 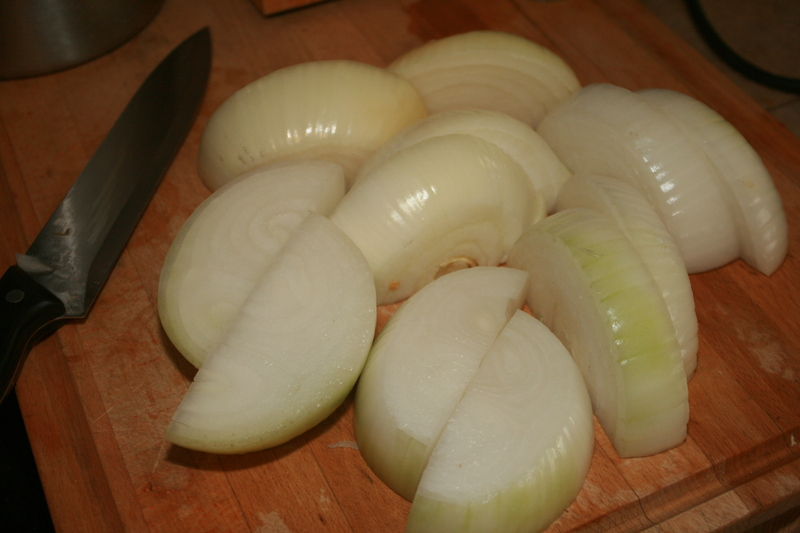 Once the onions get sliced (it only takes about 30 seconds with this baby), they look like this. Aren’t they pretty! 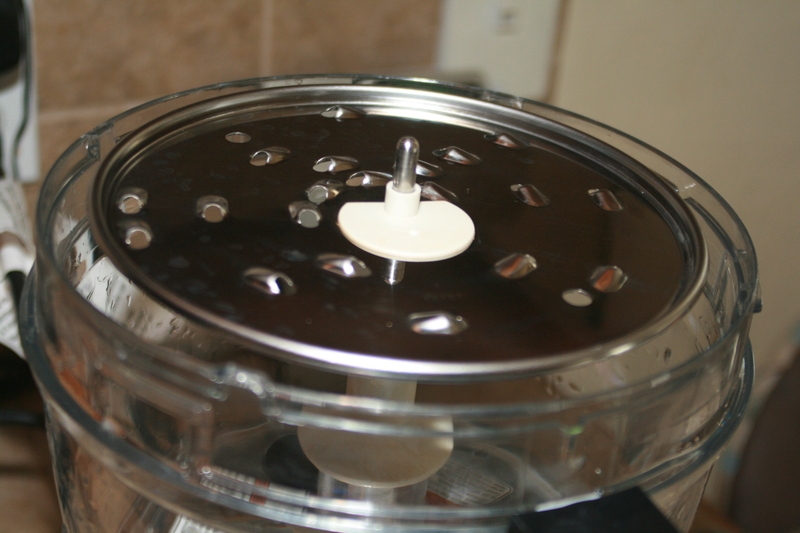 Then I changed the attachment to the grating one. I use it a lot for shredding veggies for salads too. It looks like this. 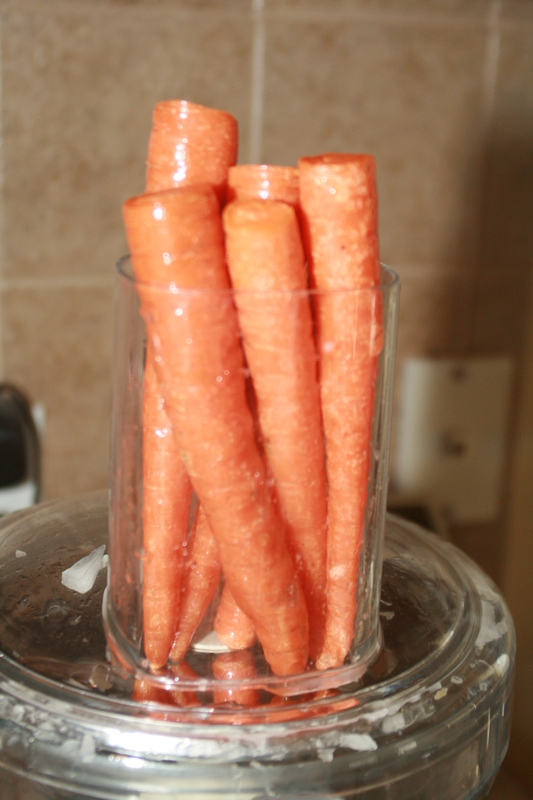 Since I didn’t have two large carrots, I gave it an educated guess and shoved as many as would fit in the feeder tube. 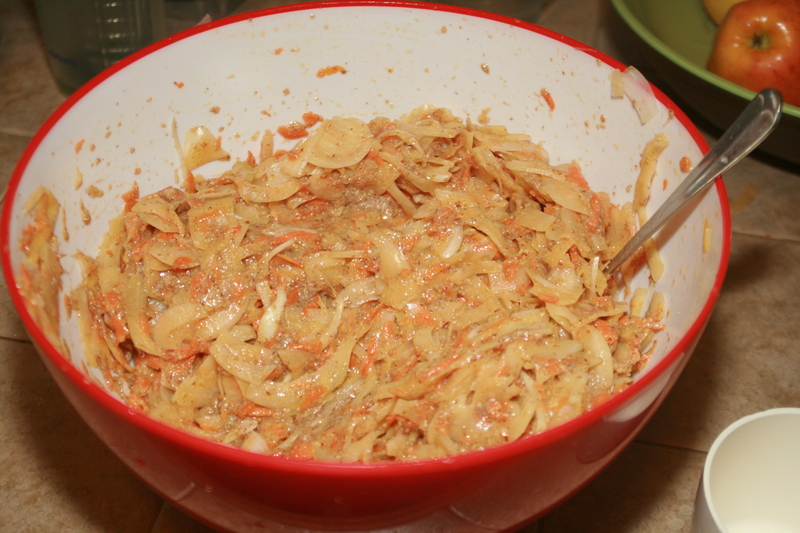 While I was grinding away at the onions and carrots, I had the ground flax seeds soaking in water (just like I was suppose to). They look like this when they have been soaked. All jelled up and sticky. Perfect for binding things together. Like onions and carrots. Wait…that’s the goal, right? 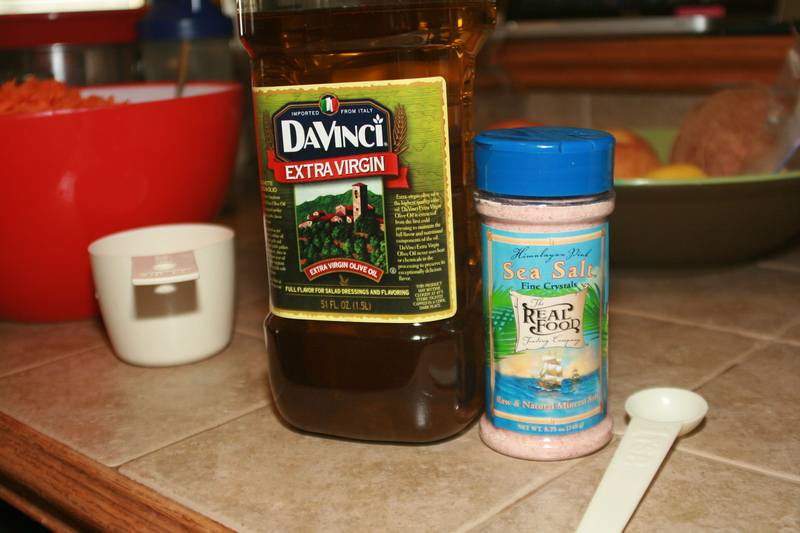 Then it was time for the Olive Oil and Salt. At this point I’m not fully convinced that it’s going to taste good. 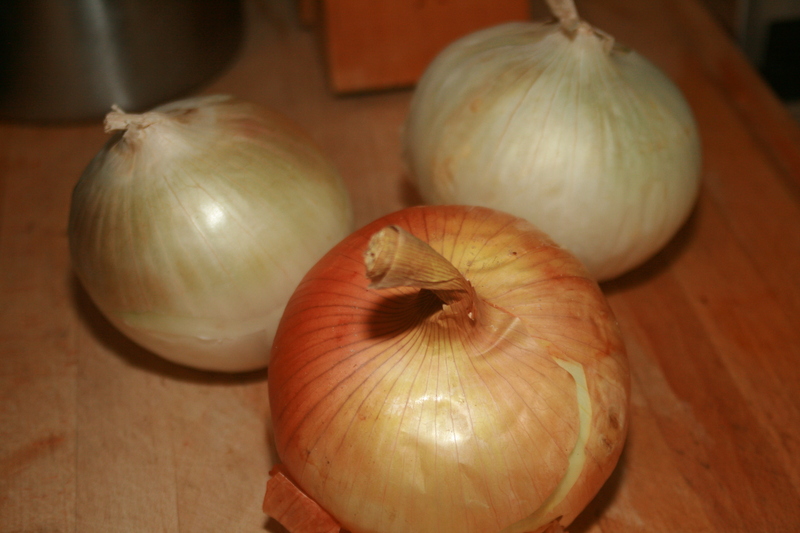 I mean, it’s practically all onions! 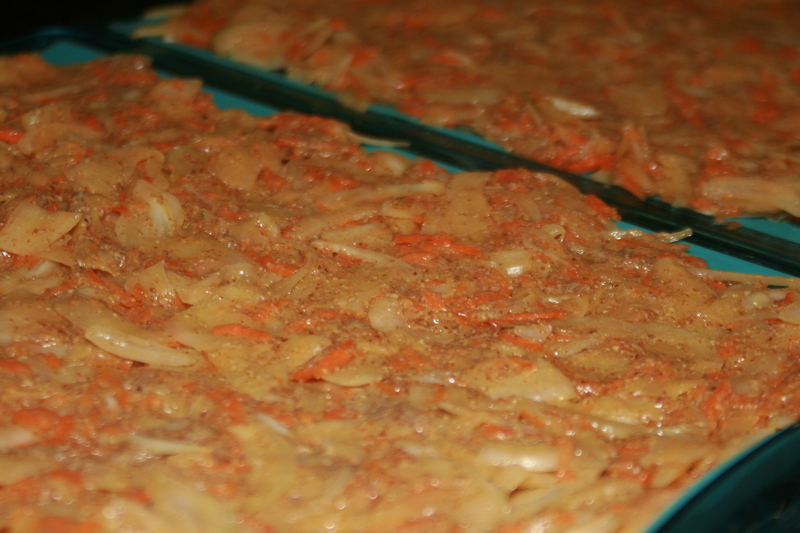 But I press on…onto the lined dehydrator trays, that is. Looks a little funky, right? But wait! Look at how it turns out! Golden, moist and packed full of flavor. I think it’s one of the best breads I’ve ever tasted! Even the BF had to sneak a taste. The aroma that filled the house for two days was simply irresistible. 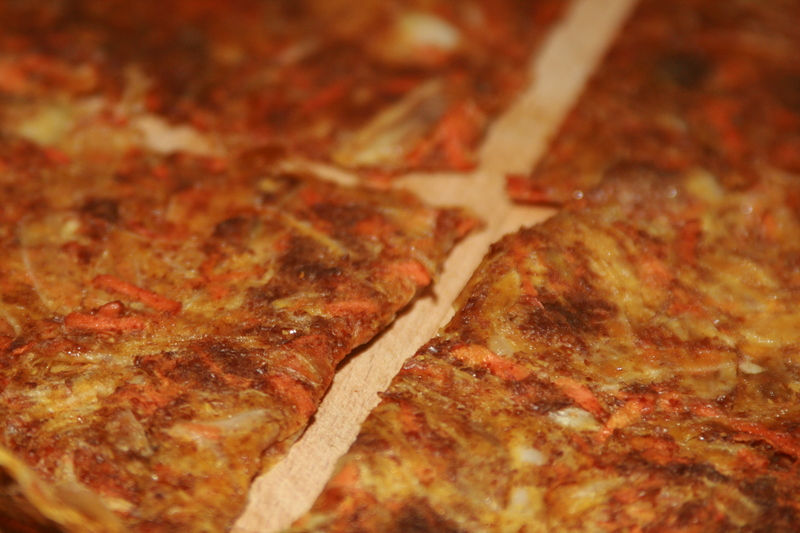 I mean, look at that texture! It has become my new favorite! Have I mentioned how inexpensive it is too? Doesn’t get much better than that right there! This received rave reviews today. The bread was about the best raw bread I’ve ever had and it seemed very much like a really good … well, bread. It has to be just right, though. Dehydrated enough to be done, but not too crisp. 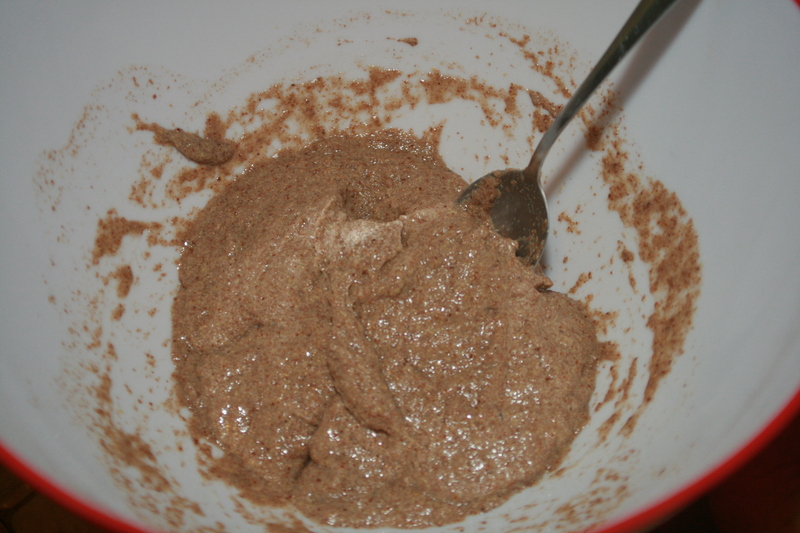 Mix together the ground flax seeds and water. Let sit for several minutes to gel. 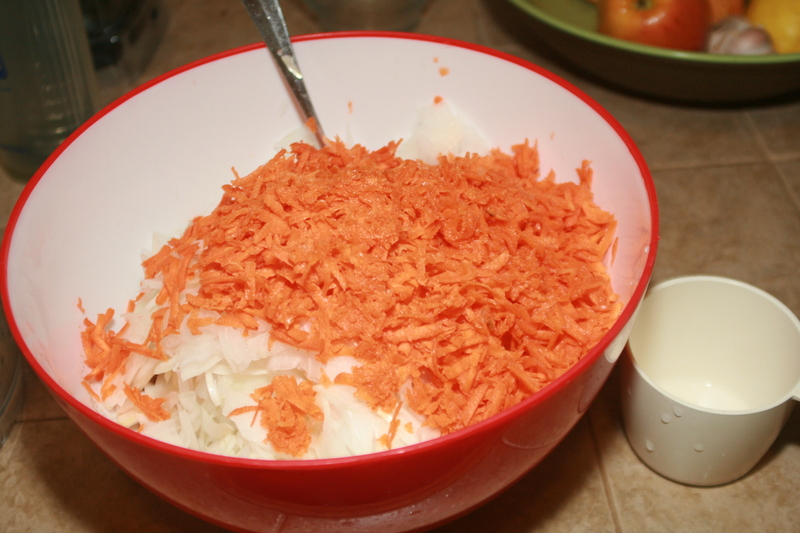 Slice the onions very thinly and grate the carrots (I used the food processor for both). Stir together and add the salt. 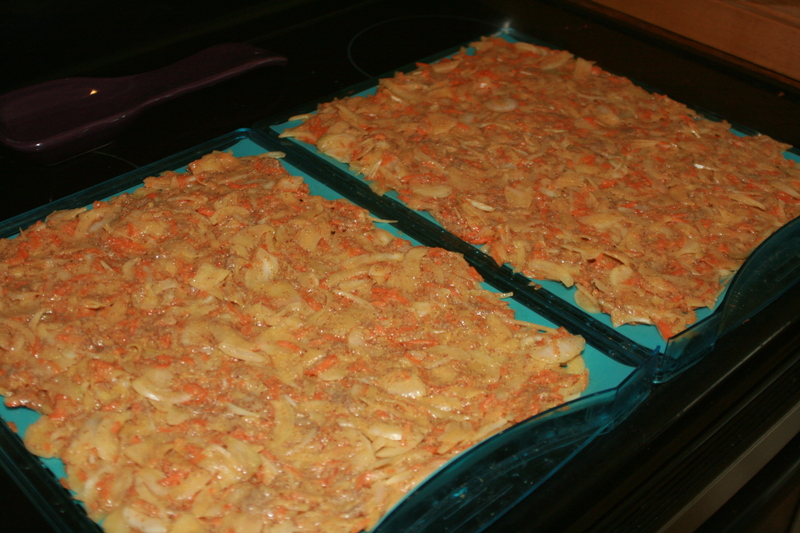 Spread out on lined dehydrator sheets and dehydrate for about an hour. When it top is a bit dry to the touch, flip and continue drying on the other side. *** Let dry another couple hours until dry but not brittle. I used kitchen scissors to cut the bread into shapes. ****NOTE: This took me a total of about 30 hours to dehydrate to the proper dryness mentioned above. 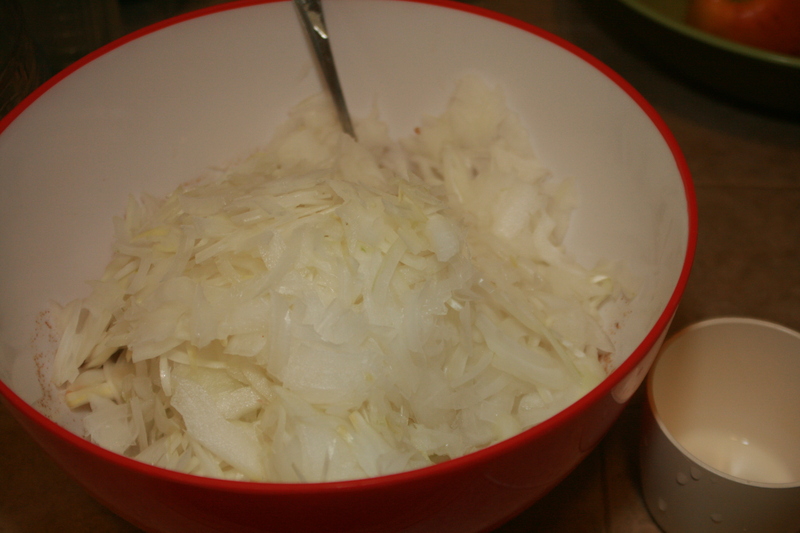 Add some tomatoes, onion, and lettuce, and a dollop of cashew mayo. 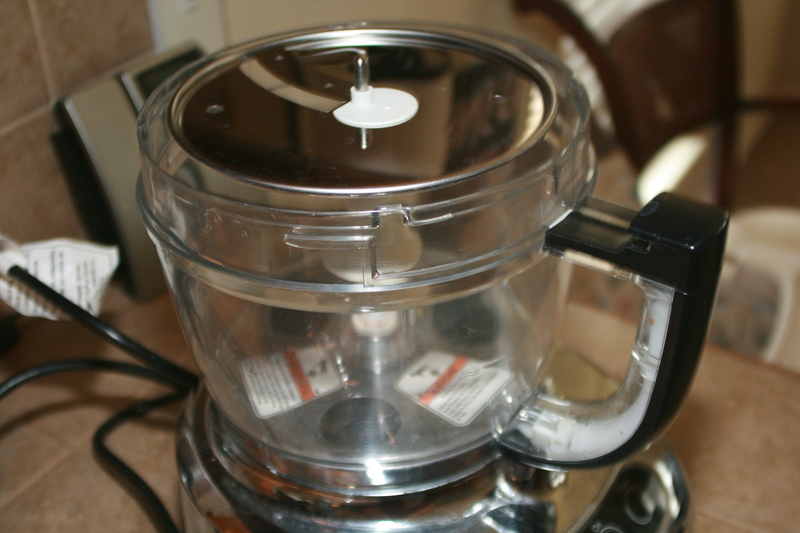 To make the mayo, use a bullet type blender. Puree all ingredients until smooth and creamy. The sandwich looks like this. YUM! Colon Hydrotherapy? Colon Cleanse? Colonic? Now, I KNOW you want to hear ALL about this subject! Yep, I did it. I had my first colon cleanse yesterday. I’m not telling you this to gross you out. I want to share this with you to open you up to deeper forms of natural healing and cleansing. I’m not going to sugar coat this either. It was a bit…strange…at first. Not as bad as my worst fears and not as good as my best expectations. A nice middle ground I would say. It was soothing at times and a little uncomfortable at others. The certified Hydrotherapist that gave me the therapy immediately made me feel comfortable and relaxed the moment I stepped into her house. I’ll spare you the in depth “juicy” details and just let you know that it was a closed system that feeds directly into the sewer line (you can see it but not smell it). I felt totally safe. An itsy bitsy bitsy nervous, but not enough to make me shy away. If you want to know more about what this looks like you can watch this video. It’s not bad, I promise. I’ve got to tell you though, that the best part was the major vibration increase that happened as I started to drive home. I was feeling really calm, which is normal, and them BAM! My crown chakra, third eye chakra and throat chakra all exploded open and I felt as though I was in a matrix of cool! I was very calm and peaceful with no worries. In his book, A New Earth, Eckhart Tolle talks about when his ego collapsed how he pretty much sat in a park for two years smiling and was as happy as could be. I felt the same way and at that point understood on a deeper level what he meant. It was beautiful! Once again my spirituality has reached new levels. Boy, I can’t wait to see what tomorrow brings, or the next moment for that matter. Until then, I will be enjoying this moment just as much. Can’t wait for the next one! Who’s with me? Anyone? Fat, Sick and Nearly Dead? Fat, Sick and Nearly Dead? This is the name of a recent documentary that is making it’s way across the world and inspiring those in it’s wake. But, telling those who I think would highly benefit from it’s message is almost a bit…well, embarrassing. Why? Because I know the name of the documentary is referring to the two main people that the film follows, but I almost feel as thought when I say the name of the movie I am telling the person I am talking to that they are “Fat, Sick and Nearly Dead”. In some instances it’s not too far from the truth. However, that doesn’t mean it should be said quite like that. Fact is, everyone who consumes a Standard American Diet (SAD) should be required to watch this film. It opens the eyes to how we can heal our bodies with the simplest form of food. How can you possibly survive on juice alone? These are questions I am asked when I go on a juice f(e)ast. In all honesty, I think the concept is harder for people to wrap their heads around than what is actually involved in doing one and the beautiful transformational effects it has on people. That’s what I like so much about the documentary. It shows people in a loving, informative and very eye opening way of how natural and wonderful it is for your body, mind and soul. Sometimes you just have to do it to believe it. What are some of the benefits I have seen? I’ve had and seen unwanted weight nearly melt off bodies. I’ve seen people get off medications for things like high blood pressure within days. I’ve had and seen calm, peace and clarity come over people in profound ways. Energy sours and hunger dissipates after 2 or 3 days. When the hunger subsides, you realize how addicted to food we all are. I would highly recommend watching this documentary. No matter what weight you may be at or how healthy you think you are. I guarantee it will make you think twice about your diet. In a good way. Hi everyone! I’ve been a bit quite lately, and for good reason. I’ve had a LOT going on! One of the fascinating things that happens when you go raw is not only does your entire body transform, but so does you entire life. Since I have gone raw I have become more in tune with my body making it easier for me to listen to what it and my soul has to say. The most beautiful part of the transformation is the spiritual part, which I have been focusing more on too. Balance has been my main objective. So, part of my transformation was realizing, deep in my soul, how unhappy I was with my life. I set out to make changes and to stop torturing myself all the nonsense that was causing me grief. My biggest change to date was getting a divorce after a long 14 year marriage. I have learned many lessons from the marriage and have left it with no regrets. The divorce has allowed me to grow in leaps and bounds and has also helped me to create a deeper trust with myself and the Universe. My interests in Meditation, Reiki, Laws of Attraction, Positive Thinking, Metaphysics, and many many more subjects has flourished and I am so grateful. Now, for those of you that follow me on Facebook you may have noticed my relationship status changing recently from “single” to “In a relationship with Lee Collins“, well, lets just say he’s amazing. I’ve been really shy about all of it in public eye, so forgive my shyness, it’s still new. There are good things to come from this. 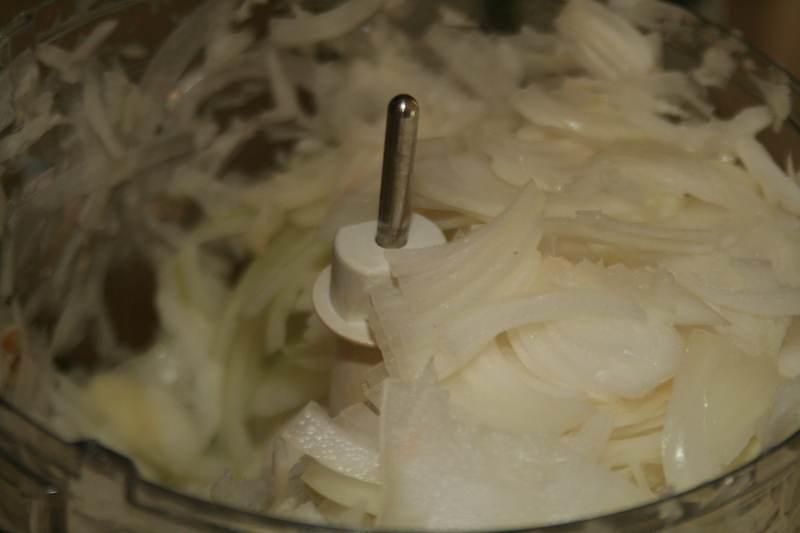 I also have a new website called RecipesGoneRaw.com that I have been posting raw food recipes to that I fine all across the web. I have tons of requests from people asking me to send them recipes to get started and this is part of my solution. I also have a Facebook page for Recipes Gone Raw so check it out and like it! 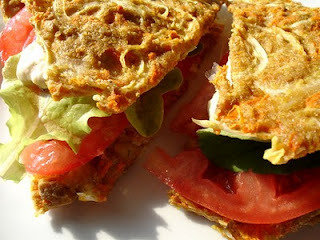 I just can’t help but share all the fabulous raw food recipes that people create. I am also doing more photography. Since I have made this raw transformation, I am finally comfortable in my own skin, which makes creating art a lot easier. I have my gallery on SmugMug and a Photo Blog Website too! Check them out and let me know what you think.